Finally! 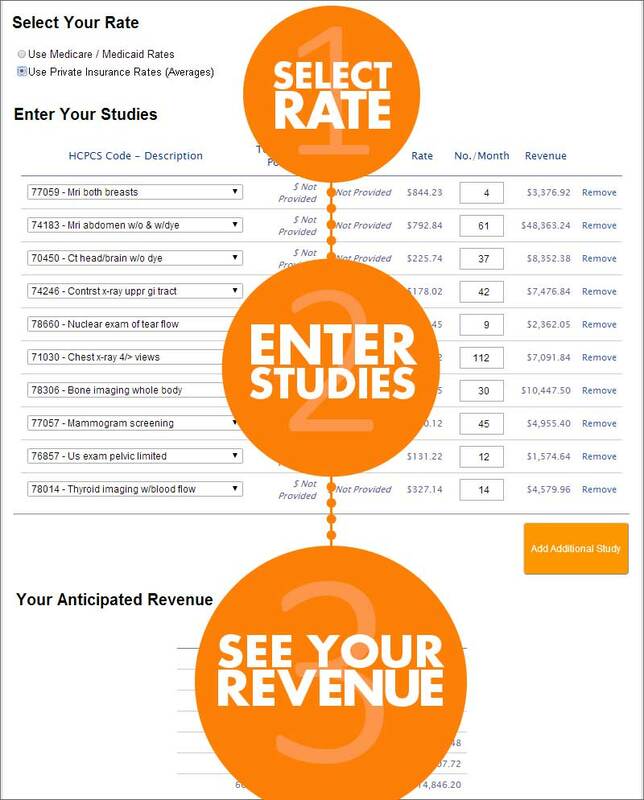 A nifty tool to help you calculate revenue based on radiology reimbursement rates in 2015. Complete the form on the right for immediate access to start calculating. Our calculator does the rest!